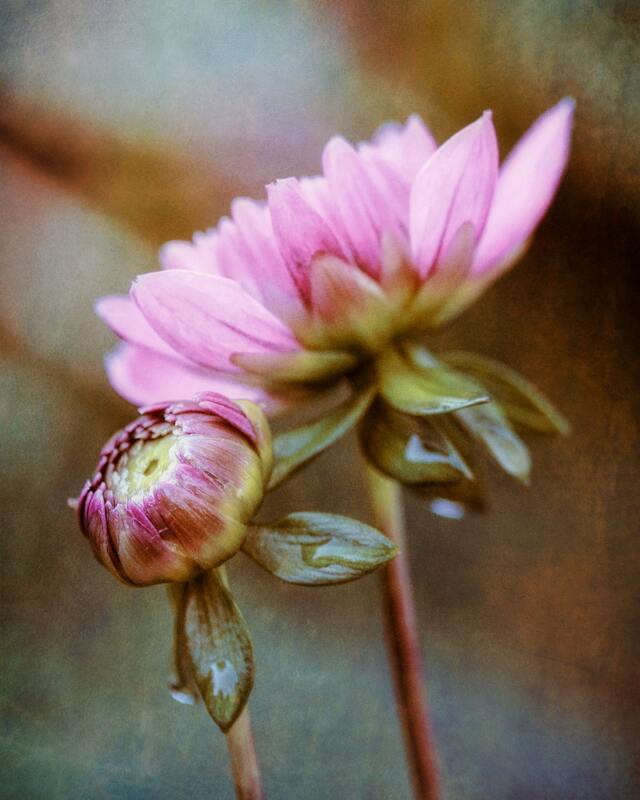 Limited edition dahlia flower photography metal art print "Romance #4" is an image of dewy pink dahlia buds. It is part of a series of photos of dahlia buds entitled "Romance." Each image in the series has a dreamy quality.